Let's Just Build a House! 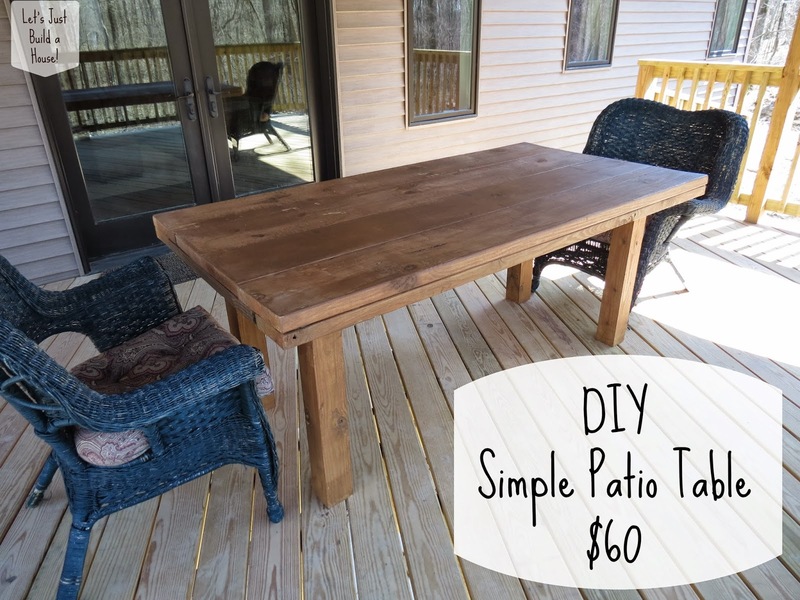 : DIY Simple Patio Table Revisited & reader build! DIY Simple Patio Table Revisited & reader build! 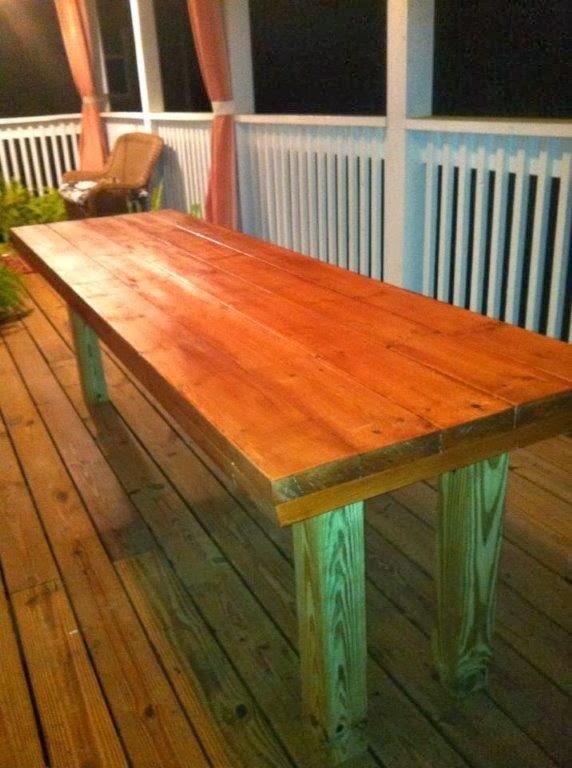 Remember our DIY Simple Patio Table Adam built this Spring? Welllllllll, a reader from Florida emailed me a photo of their version of our easy DIY Simple Patio Table! Kristin says: "Thank you for the table idea. We built it yesterday and I love it. We couldn't find a 4x4 that wasn't pressure treated, so we have to wait to stain the legs, but other than that, it turned out great. We attached the legs with 4 L brackets/leg. We were having trouble getting the legs to stay on, but the L brackets did the trick." Doesn't the rest of her deck make you want to see more too?! I see drapes. I love drapes on a deck!! Thanks Kristin for emailing me. Adam was especially excited. It turned out wonderful! Enjoy! We love our table too and purchased a set of 6 chairs to go around it. 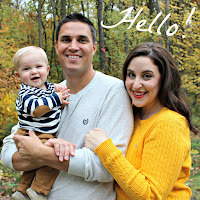 I really need to get an updated photo on the blog for you guys to see. Read more about our DIY Patio Table build here and here! Have you built furniture you've seen on the internet? Ooo, you know I love pretty furniture builds. Get on showing us those chairs woman! Hey that's pretty cool to see! Look at you inspiring all that inspiration!! !